Also known as an air wrench or an impact gun, an impact wrench provides high levels of power and torque for the application and removal of screws and bolts. 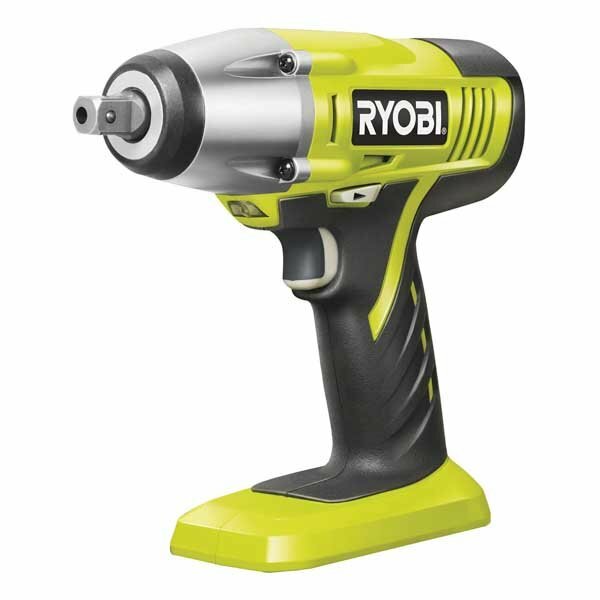 While you could use a manual wrench, for those stubborn bolts, our choice of Ryobi cordless impact wrenches can provide the extra force required. Used to tighten or loosen screws, nuts and bolts, you need an impact wrench that can deliver fast, precise work. That’s why we have carefully selected the best Ryobi options with high impact rates and maximum torques. Available as individual units or bundle options, the powerful Ryobi motors can produce up to 400Nm torque and offer an impact rate of up to 3,500, so they can handle the most demanding tasks. Despite their high-power output, the Ryobi impact wrenches offer comfortable use. This is due to GripZone technology, which provides a more comfortable hold for reduced vibration. They are also lightweight, with models ranging from 1.66kg to 3.66kg – perfect for prolonged use. Furthermore, these Ryobi ONE+ impact wrenches operate using Ryobi’s 18V lithium-ion batteries. Charging in just 45 minutes and with a long battery life, they provide continual operation, to help you keep working for longer between charges. Whether you are looking for a model with a battery, or a Ryobi impact wrench set, at SGS Engineering, we have a great selection at great prices. Simply buy and checkout today with our secured payment process, to make your tasks easier.